CARFAX One-Owner. Grey 2016 Ford F-150 XL SuperCrew 4x4!!! 4WD 6-Speed Automatic Electronic 2.7L V6 EcoBoost 2016 Ford F-150 XL in Grey, CLEAN CARFAX, ONE OWNER, 2.7L V6 EcoBoost, 6-Speed Automatic Electronic, 4WD, ABS brakes, Body-Color Front & Rear Bumpers, Box Side Decal, Compass, Electronic Stability Control, Fog Lamps, Low tire pressure warning, Traction control, Wheels: 17`` Silver Painted Aluminum, XL Sport Appearance Package. 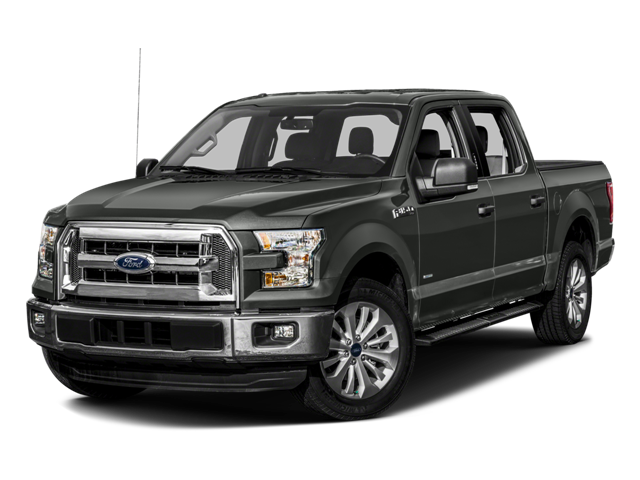 Hello, I would like more information about the 2016 Ford F-150, stock# 8R132AA. Hello, I would like to see more pictures of the 2016 Ford F-150, stock# 8R132AA.